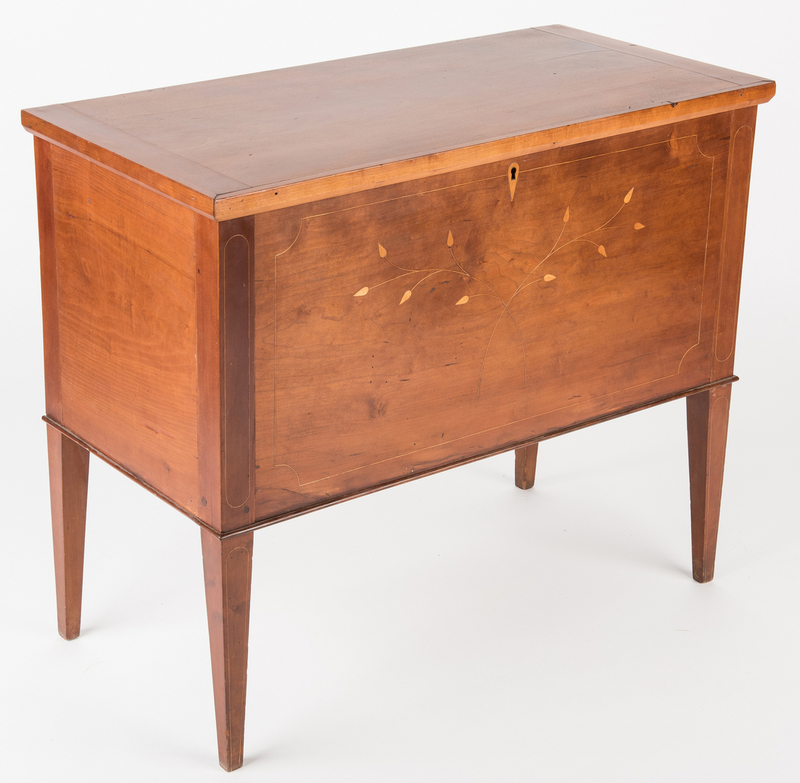 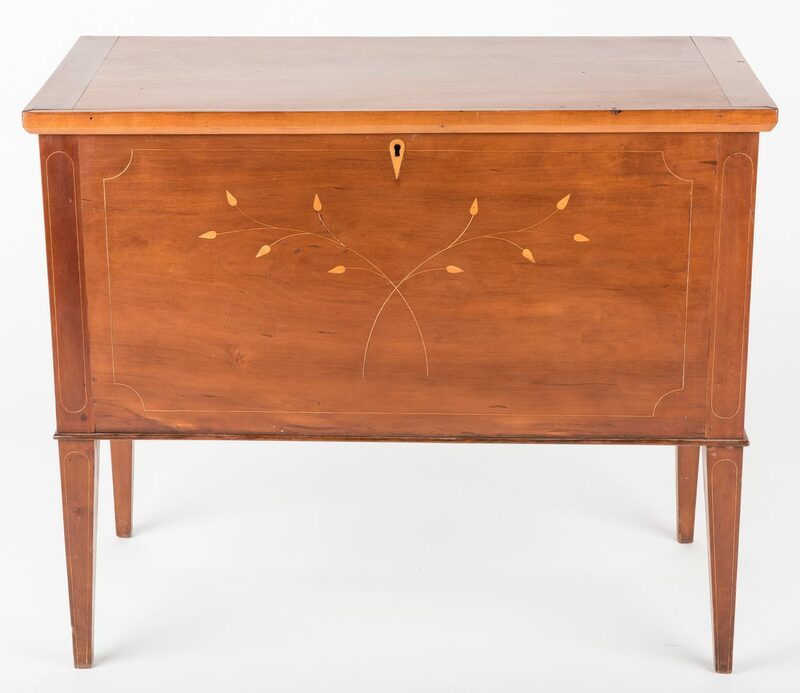 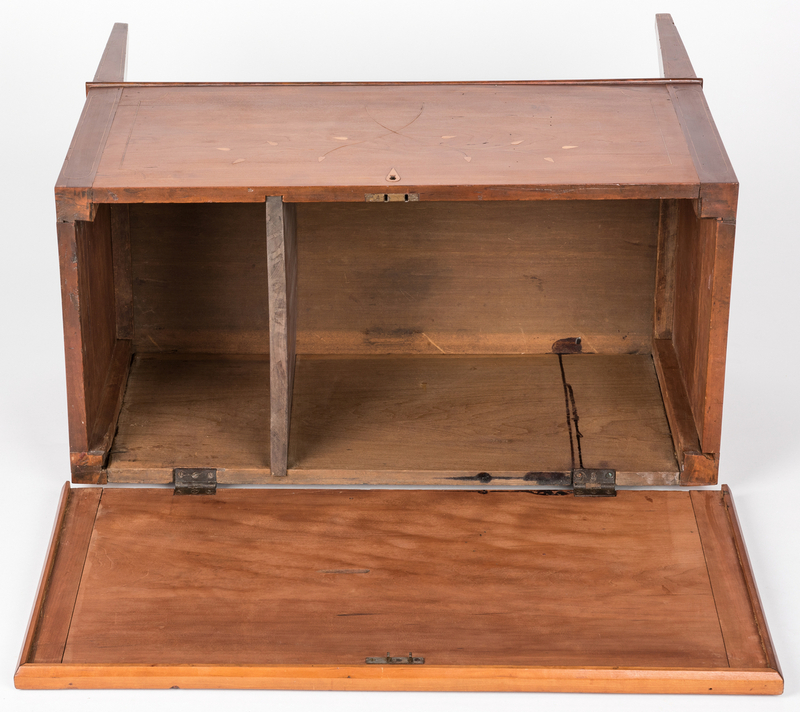 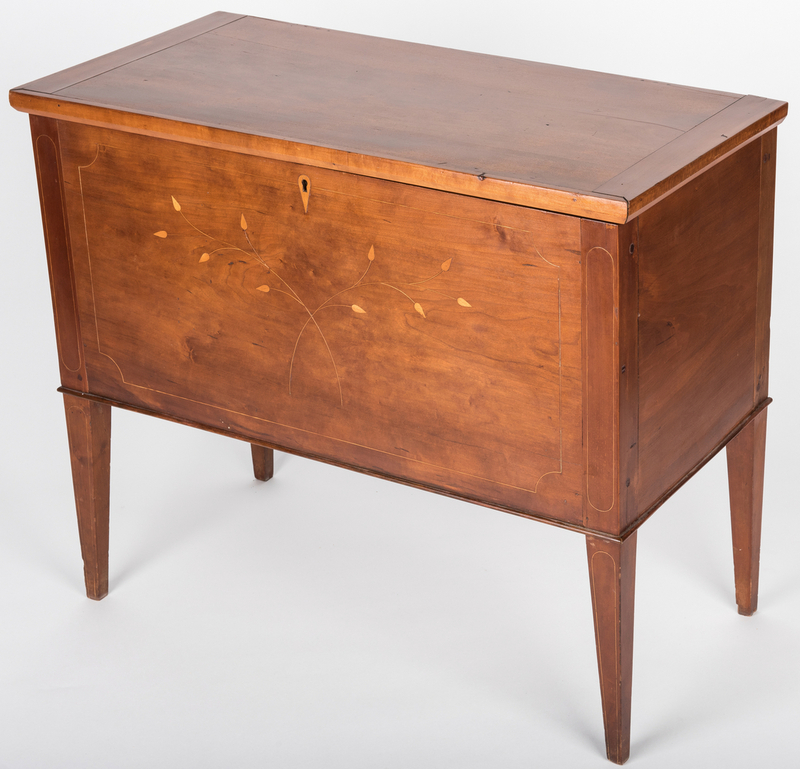 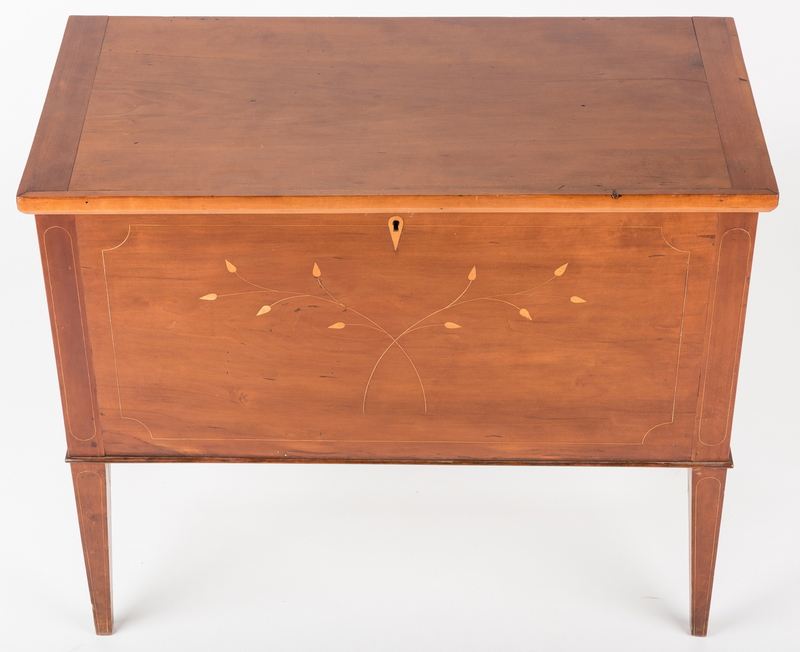 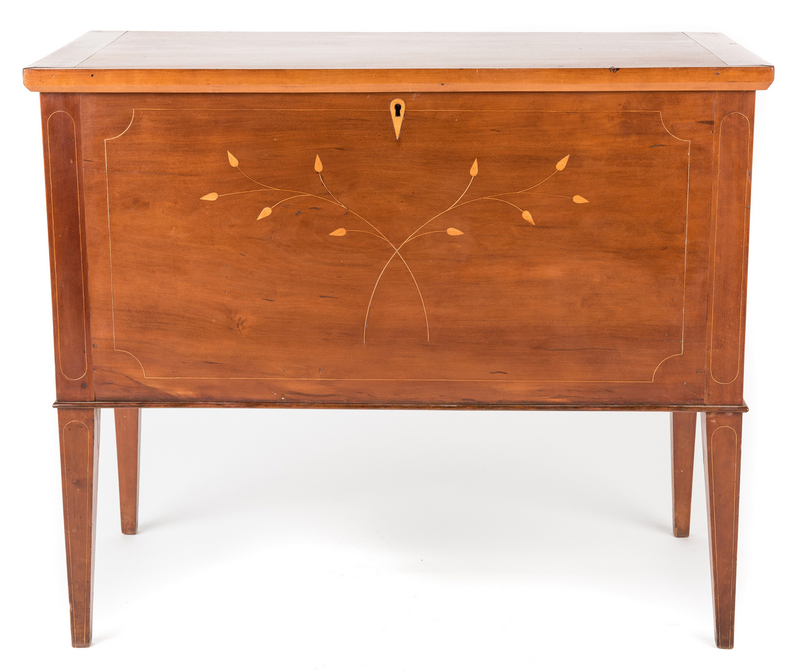 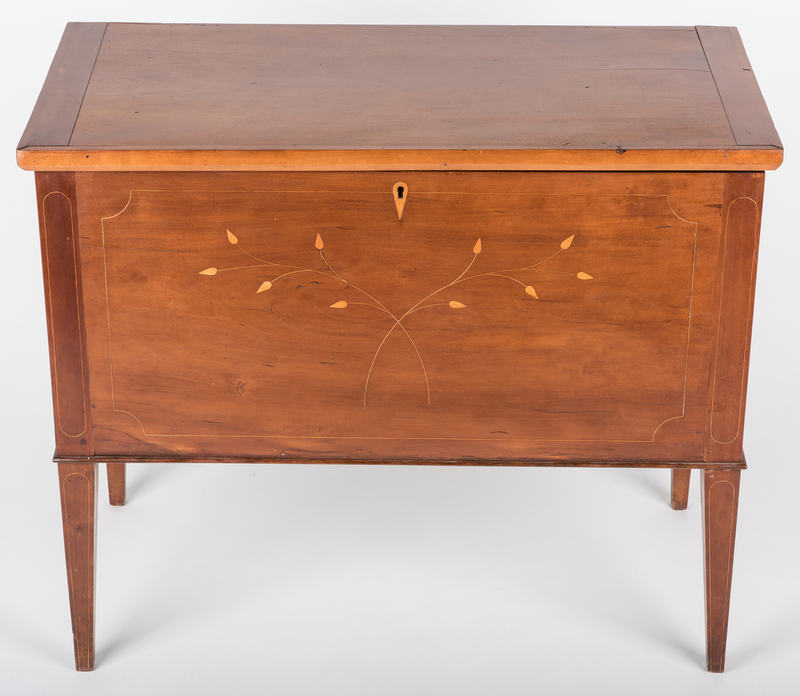 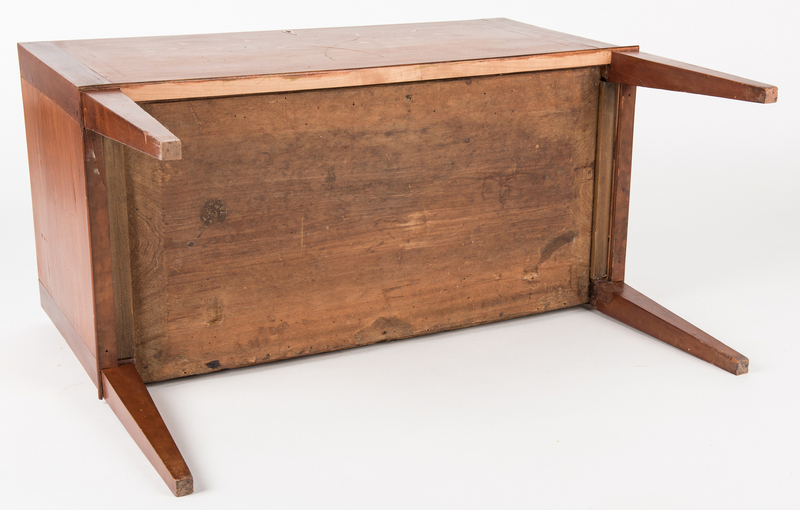 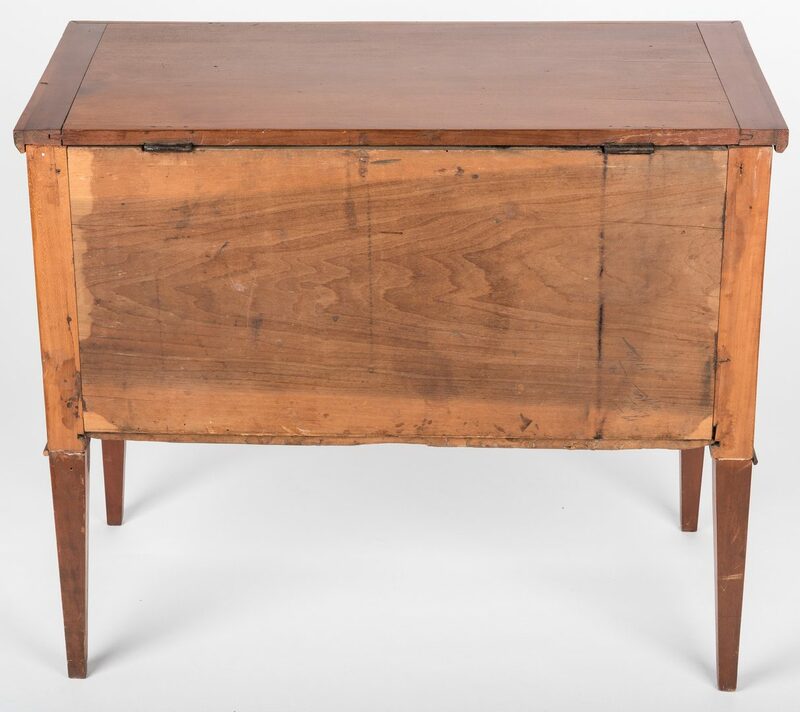 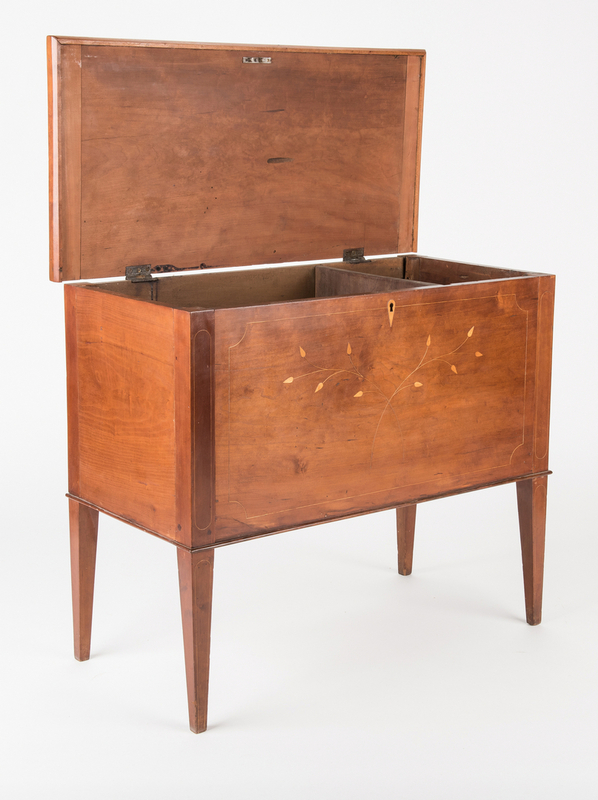 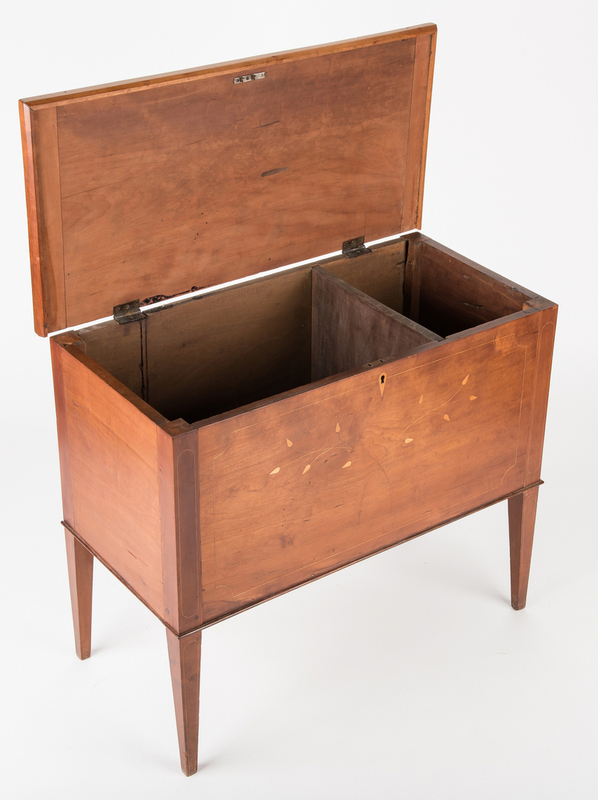 Kentucky inlaid cherry sugar chest, tulip poplar secondary, with tall tapered legs, molded top with breadboard ends, pegged case construction with interior divider, diamond inlay escutcheon, vine inlay to the front within a rectangular string inlay outline, and string inlay to the front case and leg stiles. 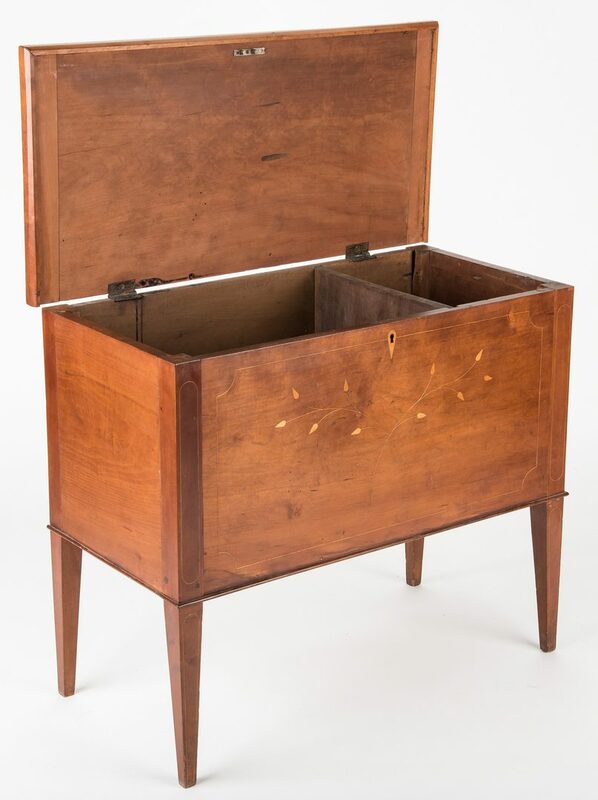 27 1/2" H x 32 1/4" W x 15 3/4" D. 1st quarter 19th century. 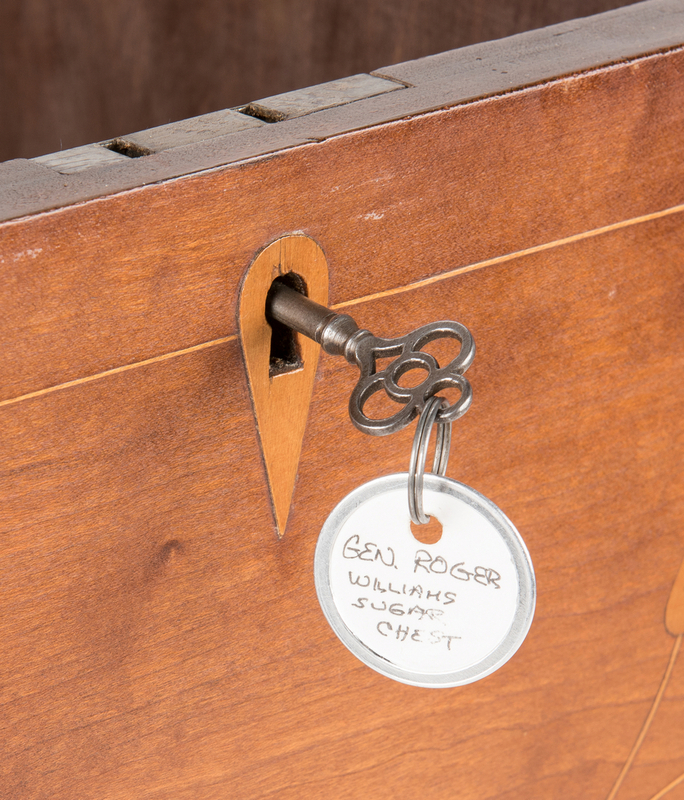 Provenance: Originally from the estate of General Roger & MaryPolly (Kerfoot) Williams of Bourbon County, Kentucky. 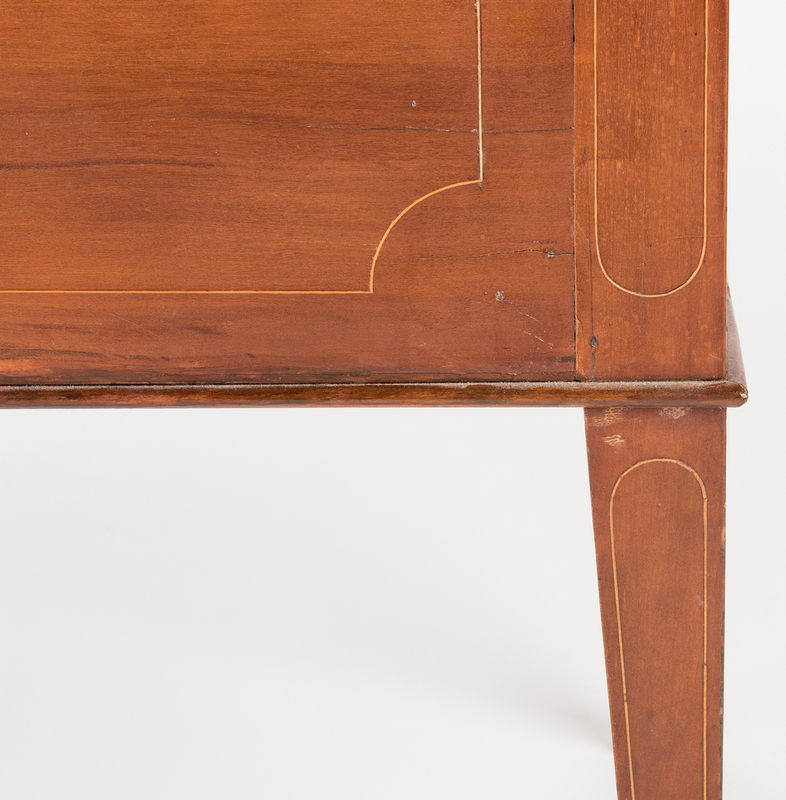 CONDITION: Refinished. Interior divider replaced. 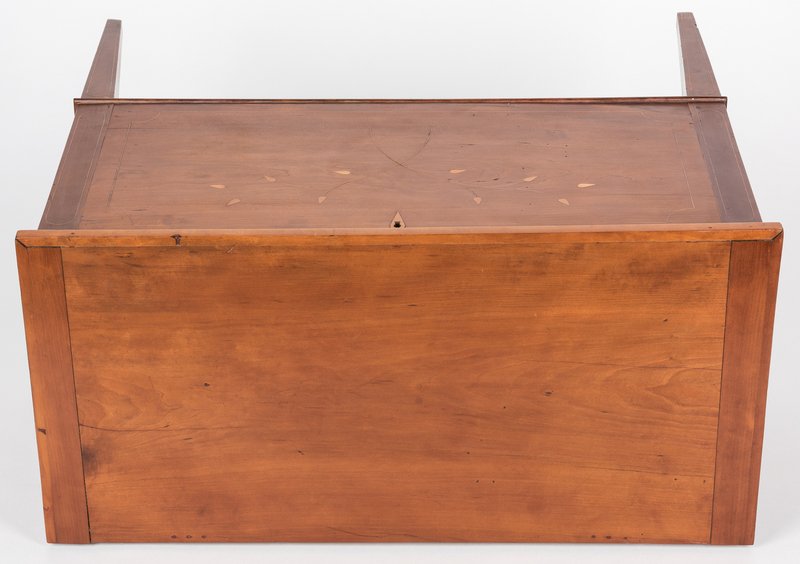 Top appears to be an old replacement. 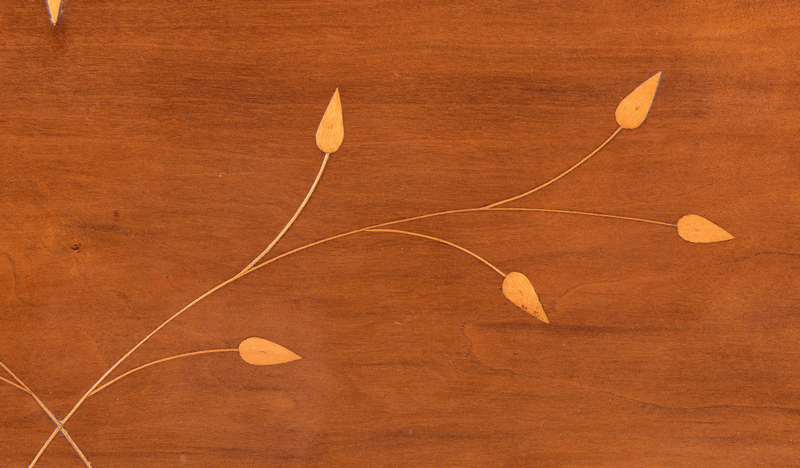 Evidence of string and petal inlay replacements. 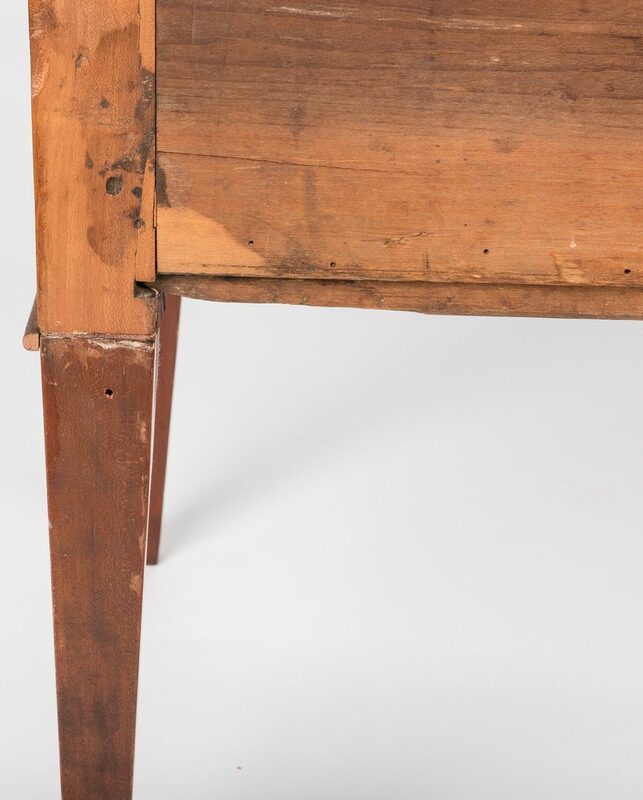 Feet were removed and improperly re-installed with screws in the 20th century. 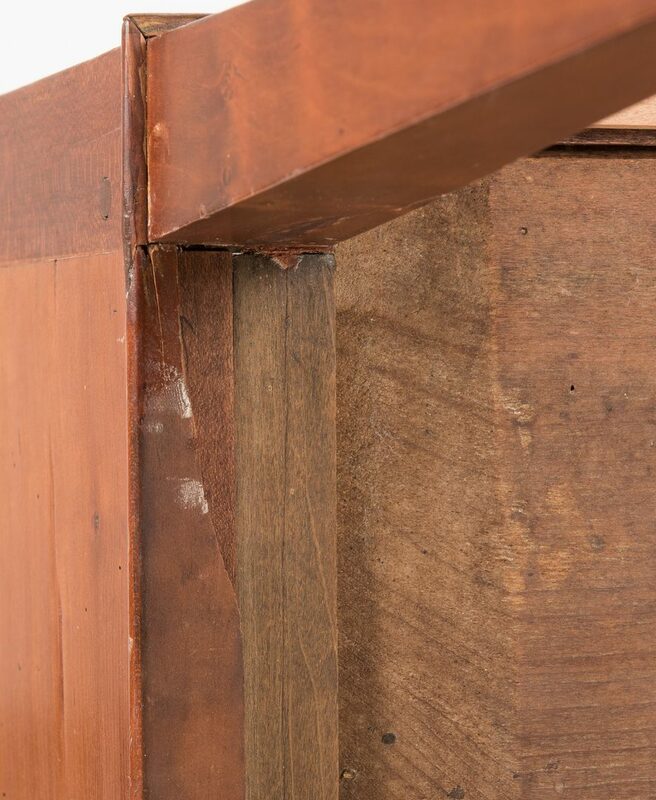 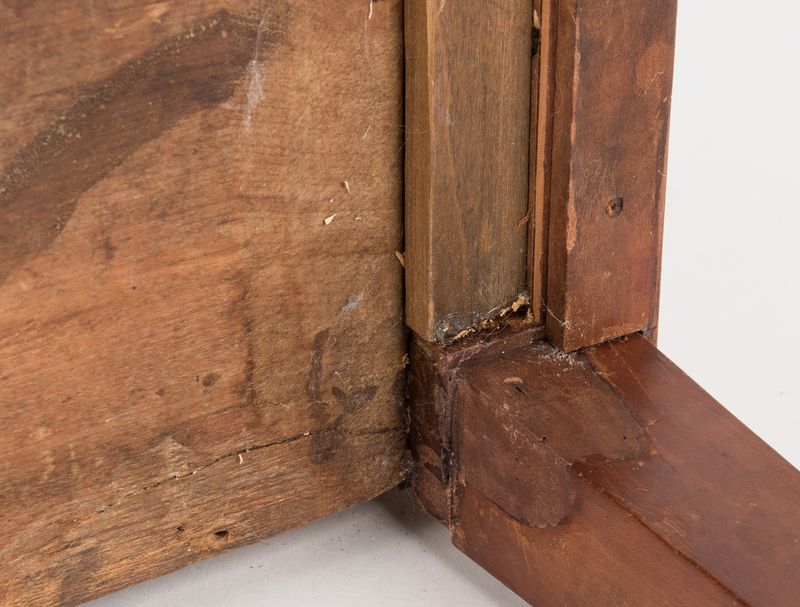 Screws were removed and feet were properly reattached by Williamsburg Art Conservation Inc. in 2014. 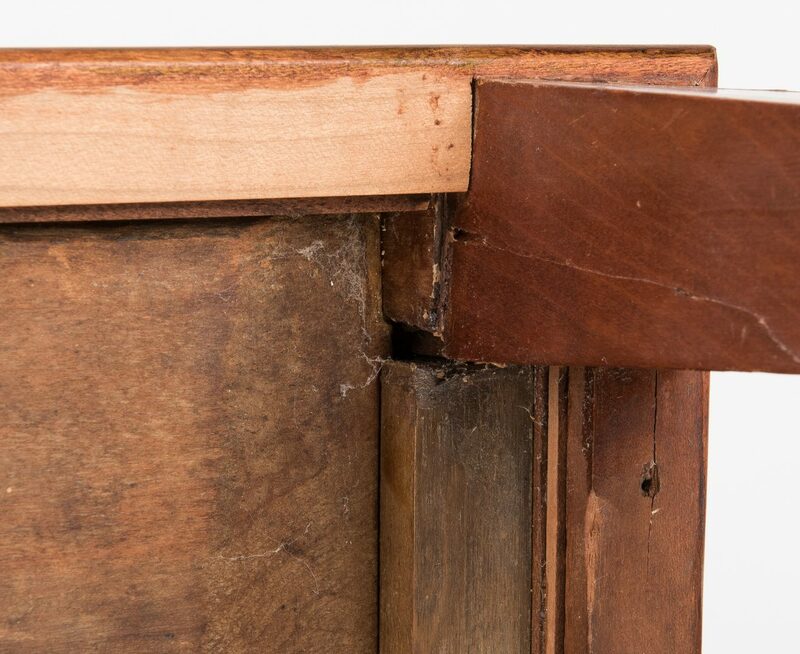 Base molding on front of case replaced. 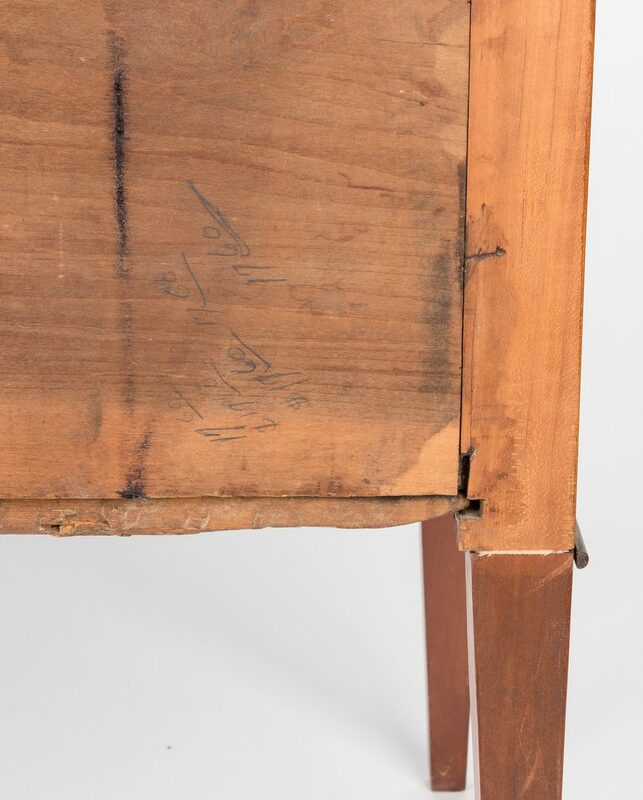 Conservation report from Williamsburg Art Conservation Inc. available upon request.